This is for the digital MP3 download (Y4DDBR01MP320) released on 6 October 2017 paired with the purchase of the Limited Numbered Edition of the CD (Y4CDBR01). The CD was to be delivered between 6-27 October 2017, and is limited to 2,049 copies of which each will be numbered. The digital MP3 was available as a download immediately upon release and was emailed to the buyers of the first-edition release CD. ...and in due course the "limited editions" were followed by a regular CD release. Good luck ebay flippers selling those £50, £75, £100 versions. I just bought a normal one for £13 in my local HMV. Good news for some, i hope :) This morning, i passed by my favorite soundtrack seller website here in USA (Screen Archives Entertainment) and they had finally today listed it for sale (pre-order) It doesnt say anything about it being limited or a double cd, but who cares, right? It has all 24 songs listed and a yummy pricetag too. As of today, other sites also appear to have the film score listed as available for pre-order. For my part, i say thanks SAE! and happy shopping everyone!! Just to let you all know the site as of 25/26 October had issues processing int'l orders with Paypal and would not allow the order to be completed. I called their help-line and was able to order over the phone for 30 bucks US. 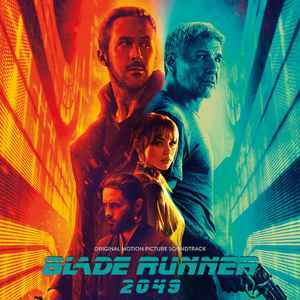 No one should expect a similar soundtrack to 1982’s Blade Runner without being delusional, we are in 2017 in which most soundtracks made recur less to lyricism and much more to plain atmosphere and immediate effectism. Cinema has changed a lot since the 80’s as well, image priviledge over everything else and this principle adheres strongly to a movie just like BR 2049. Fact is the movie overwhelms with photographic detail to tonalities, contexts and superlative scenarios, we should guess that Zimmer felt really comfortable here, this is what he has been doing for his most recent soundtracks, as a manner of criticism his participation in Dunkirk guards many similarities with this movie, especially with his massive use of deep bass sounds, spatial atmospheres and general apotheosis dark ambience. Vangelis music has little in common with this, which is more in vicinity with new age florid and ethereal form,while this is rabidly close to dark ambient, very post Industrial and atonal normativity for composition. I find the Zimmer soundtrack very appealing, although at times repetitive (as in Dunkirk), it accompanied the movie very effectively and induce the states suitable for the frames, but I would like to have a second opinion by experiencing the soundtrack alone and without images in order to have a deeper understanding. Absolute garbage OST. Created with a little over a month prior to the films release, there is very little feeling to be found in any of it. Missing are the soaring Vangelis inspired melodies, gone are the balanced atmospheric synth work outs, and no where do you hear diverse cultural interplays of sonic representation. I hope that we get to hear what Jóhann Jóhannsson created for this film, because if we remember the opening music to the first trailer of this film, it was evident he had tapped into the spirit of Vangelis. I was rather afraid of the final score because Hans Zimmer, while a remarkable composer, has suffered a case of having scores that sound the same as of late, the one variation being 2014's Interstellar. However, I sort of forgot that he did it while watching the film because of how different it felt. Maybe it was Benjamin Wallfisch's touch as well but this score maintains the electronic darkness of Vangelis' work, just like how the film itself respects the original while still feeling fresh and new. Whether or not it'll be as memorable as the original's remains to be seen but it's a nice change of pace for Zimmer.